HomeMolecular diagnostics for C. difficile infection: too much of a good thing? Figure: Percentage of 1416 specimens in each C. difficile category. However, there’s a problem with relying on toxin enzyme immunoassays (EIA) (which are cheap and easy to do) because they lack sensitivity in detecting the C. difficile toxin. Although they vary in performance, sensitivity can be as low as 50%. Put another way, for every case of C. difficile you are detecting, you are missing another. 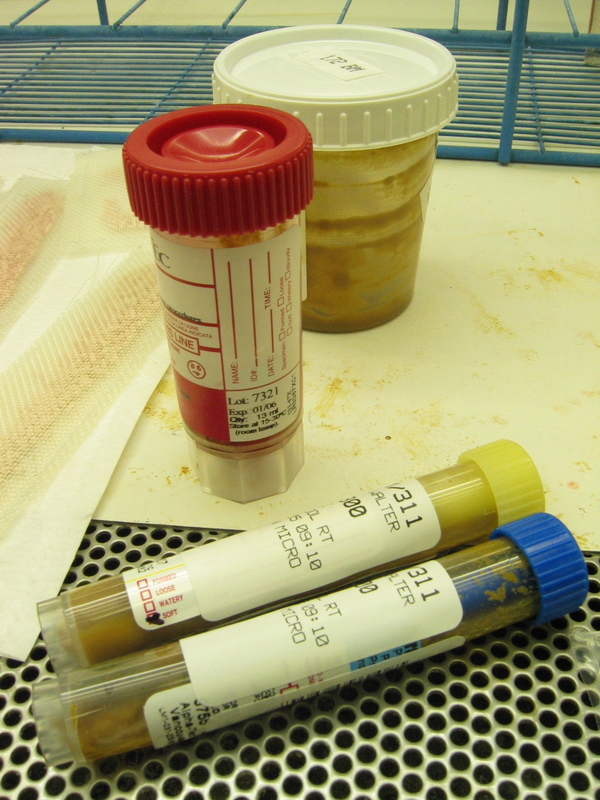 But – thinking this through – this study suggests that the poor sensitivity of toxin EIA tests to detect the C. difficile toxin is not important clinically. 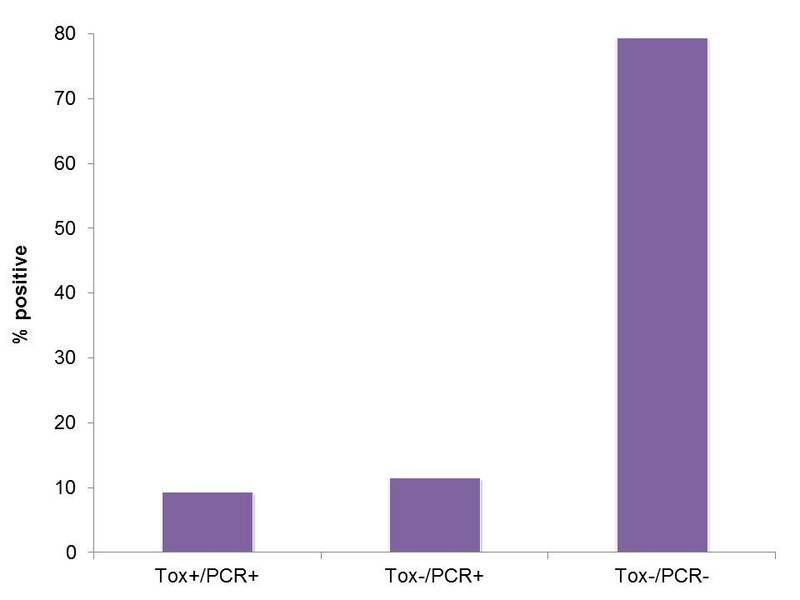 If this was the case, then the Tox-/PCR+ group (of which 30% were actually toxin positive by a cell cytotoxicitiy assay) should be clinically different to the Tox-/PCR- cohort – but they were very similar in all measured metrics. Perhaps the level of toxin in the cases that toxin EIA tests miss is too low to be clinically relevant? So, current UK advice to perform two step testing (a GDH EIA or toxin PCR, followed by a toxin EIA) still makes sense. But I’m left wondering: what’s the point of PCR for C. difficile toxin genes if it’s not clinically relevant in and of itself, and (as in the hospital in this study) is not being reported to the wards?